Apps are plenty and they can easily be downloaded from the Play Store on smartphones. People, cutting across age, download games on their phones and spend time playing them. It is a common sight now to see people playing games on mobile as they are traveling or at work places during free time. Now, Adda52 rummy fun app on the Play Store will certainly add value and make your experience more thrilling. 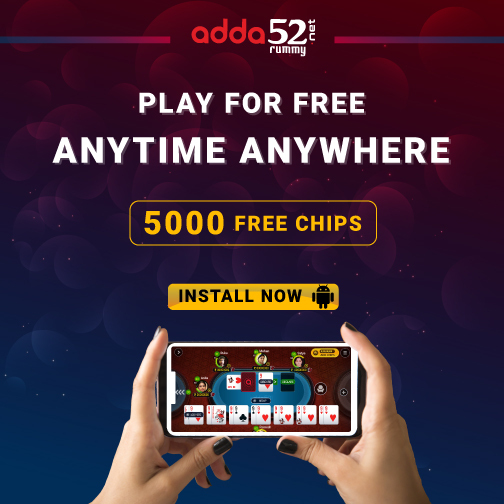 Adda52 rummy fun app can be easily downloaded from the Play Store for free and you can start playing rummy, which will certainly improve your skills. To begin with Adda52 rummy fun app is very secure and has very interesting and tempting features. If you believe in locking horns with better skilled people, you can join the table with others online. Well, all for free and you do not lose money but get lots of fun and chance to hone your playing skills. Adda52 rummy Fun App is really a fun for beginners. All you need is two to play the game and the number could go up to six. What more. Those registering, will be awarded 5000 free chips which guarantees them unlimited entertainment and fun. But, the free chips can neither be cashed nor transferred. Also, one can get ultimate rummy experience on mobile playing with thousands of players across the world. This fun app offers a lot of interesting things. Do not worry about you ending up without the free chips. As you start playing, Adda52 rummy fun app offers you 5000 free chips. You are unlikely to end up with no chips if playing in fun app. 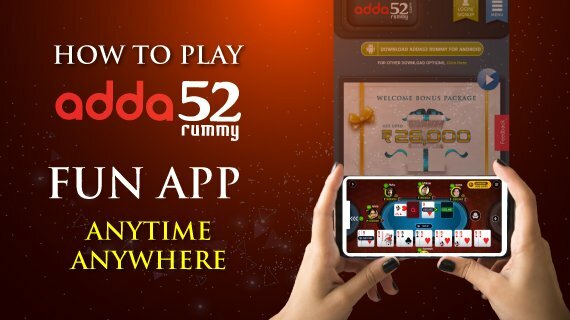 Many may ask what will one gain by playing with the Adda52 rummy fun app. You will certainly kill boredom. You will learn finer points of the game. You can understand the game better as you are not at the risk of losing money on Adda52 rummy fun app. You can analyze the game better and hone your skills in this ultimate fun app. “I love Adda52 rummy fun app and it has helped me to improve my skills. Me and my friends play with this fun app during our spare time in our office. It is cool and my game has improved by leaps and bounds. I am confident that in a short while I will start playing the game on adda52 rummy fun app,” says Rakshita, 22-year-old, working with a start-up company. “The experience has been superb. Playing with Adda52 rummy fun app is very cool,” adds Ritwik, who works with Rakshita in a software development firm. “We generally play together so that we can analyze our improvements in the game,” says Rakshita. Why delay? Download Adda52 rummy fun app on your smartphone. Get set to play rummy round the clock and anytime anywhere on Adda52 rummy with your nimble fingers and smartphone.